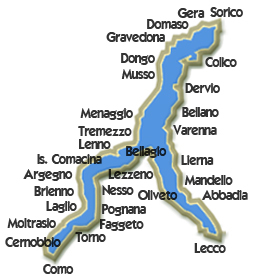 Lake Como covers an area of 146 km², it has a characteristic reversed Y shape due to the three branches that compose it: Colico to the North, Lecco to the Southeast and Como to the Southwest. The climate is generally mild and humid, favouring the growth of a rich and varied vegetation. 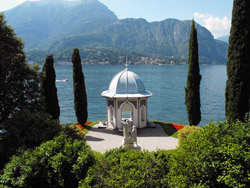 Picturesque and characteristic are the towns bordering on the Como lake, where you can visit the beautiful villas with splendid gardens and go for a romantic walk among flowers and exotic plants. 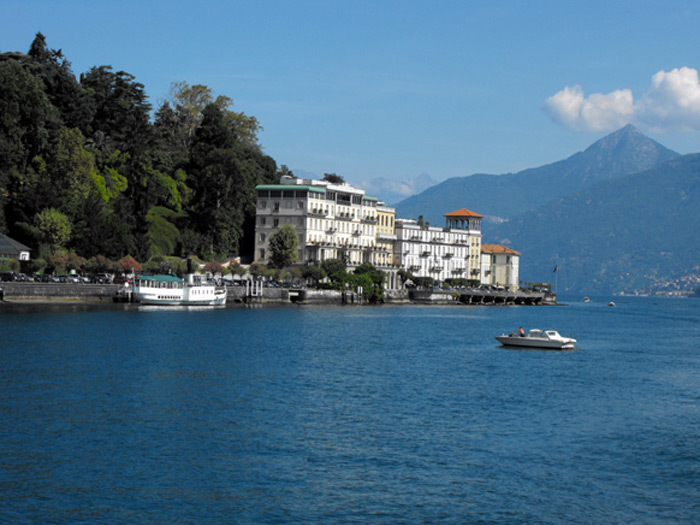 The best way to discover the beauty of the lake is by navigating its waters. 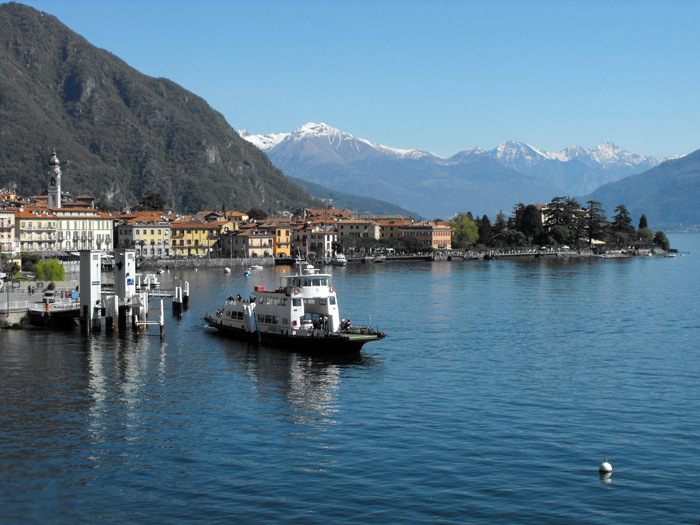 Thanks to the Lario Navigation Service you can admire the towns and villas, letting yourself be charmed by breathtaking views aboard a boat, a hydrofoil or a ferry. 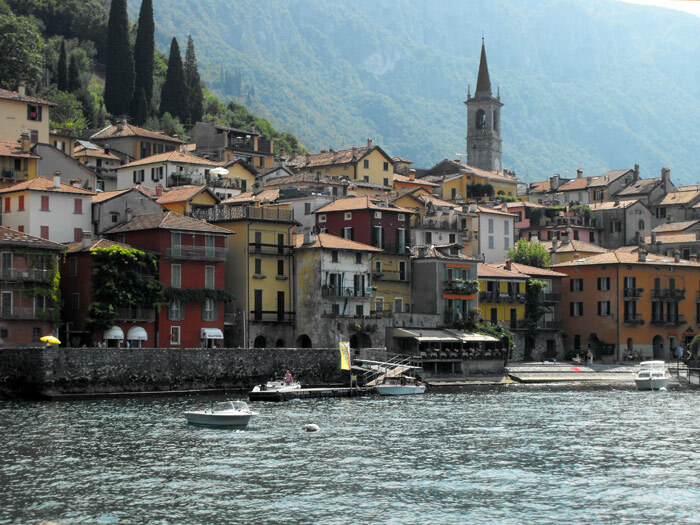 At the tables of many restaurants of the area you can appreciate excellent traditional Lake’s Como cuisine, varying from fish to cheese to desserts with perfect lake and mountain combination. 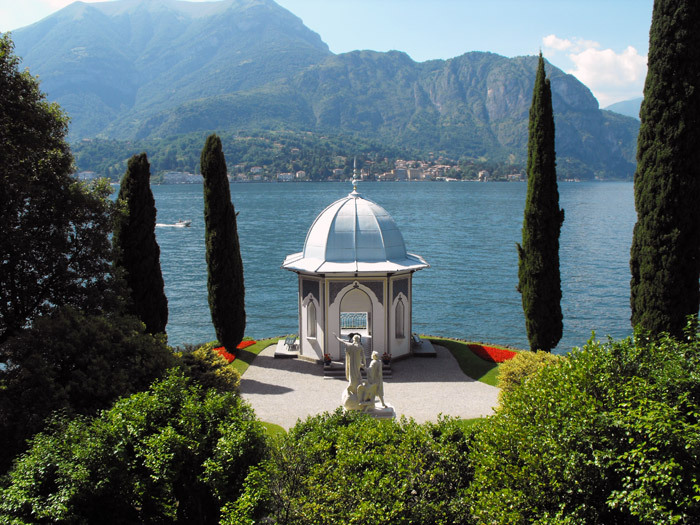 For a few hour trip or a long vacation Lake Como always offers you the cues of art, culture and, of course, beautiful landscapes. 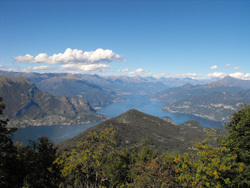 In this area you can make many excursions and trips: in Linzanico starts the trail that in about three hours of walking gets to Resinelli Flatland, the Path of the Wanderer starts at Borbino and connected Abbadia to Colico. 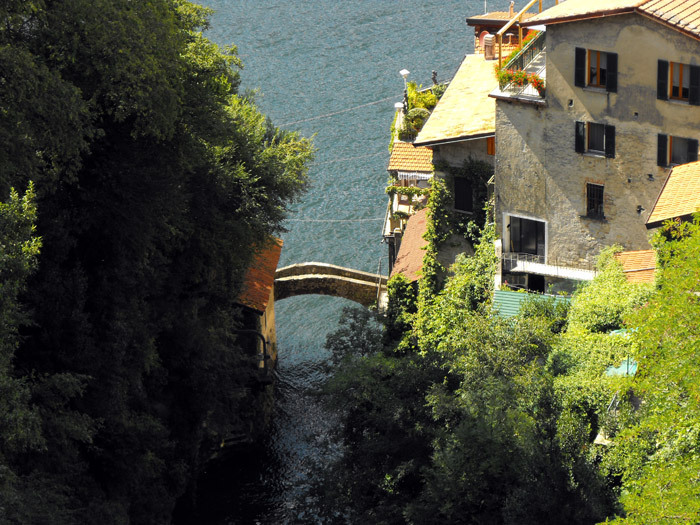 Brienno preserves its origins of a medieval village, the stone houses based in the water, the narrow streets barely separating the buildings; beautiful porticos, stairways and underpasses make this place a true gem. In Dongo, among the buildings stands out the neoclassic Manzi, today town hall and site of the Museum of the end of the war (Resistance Museum), a building realized by Pietro Gilardoni (1824), a student of Pollak. 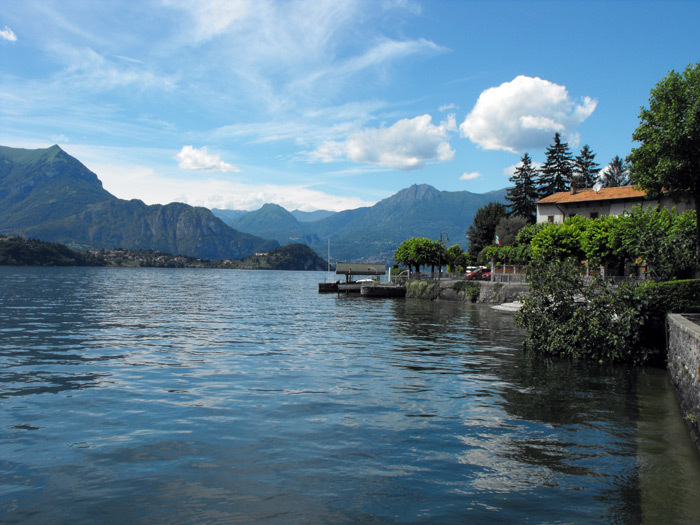 Lezzeno stands on the western shore of Lake Como, is also famous for a gastronomic specialty: Missoltini, fresh water fish (shad) - sun dried and grilled. There are many artisan businesses, from the ship yards to car mechanics. 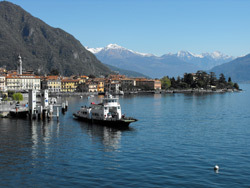 It has always been a town of fisherman and boatmen, already during the 18th century, Malgrate was a vacation town frequented by Milan’s upper class. The famous inventor, Pietro Vassena (1897 – 1967) a Malgrate native. 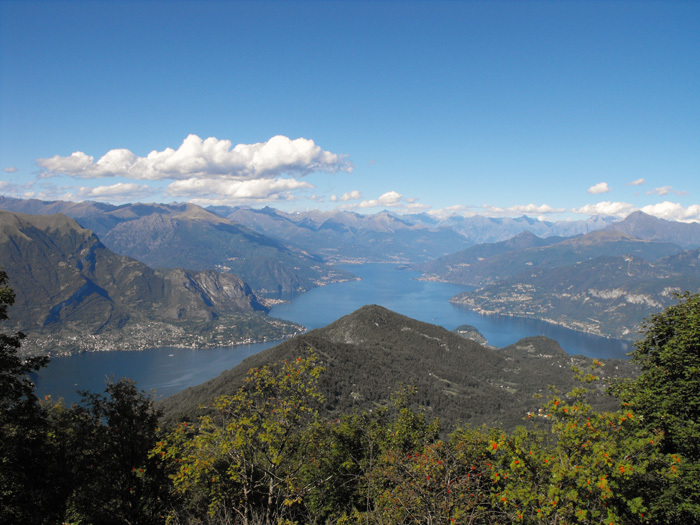 Moltrasio is situated on the western bank of Lake Como and extends from the waters of the lake to the slopes of Monte Bisbino, its sunny location and mild climate have made Moltrasio a popular holiday destination. 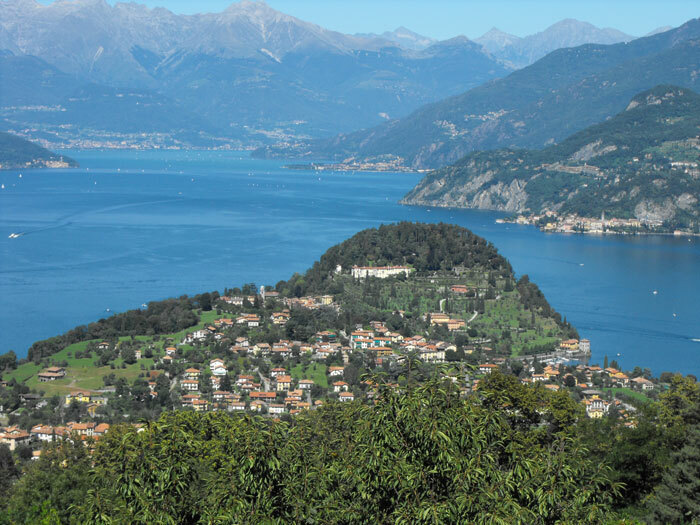 Musso is a town rich with history: in the thirteenth century the area was the feud of Malacrida family, allies to the Duchy of Milan. In 1522, Gian Giacomo Medici, called the Medeghino, stormed the castle and enlarged the fortifications. Oliveto Lario, situated on the western bank of Lecco lake, is made up of the three large villages, Onno, Vassena, Limonta. The municipality offers visitors a range of excellent restaurants, camp sites, private lidos and public beaches. 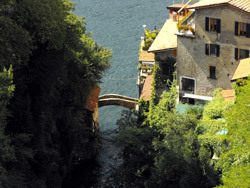 Pognana Lario was once famous for its Moltrasio stone mines, this building stone, used by the Masters of Comacini, is characterized by gray-blue streaks. It's a must to visit the church of San Miro, situated in the hamlet of Rovasco. 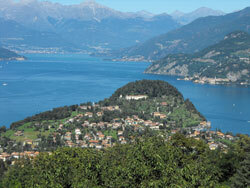 Torno is situated upon a headland, from where it looks down over the south-western end of lake Como. Traces of pre-Roman settlements have been found in the area, as evidenced by the discovery of Massi Avelli to Piazzaga.